Finally our new website is working! 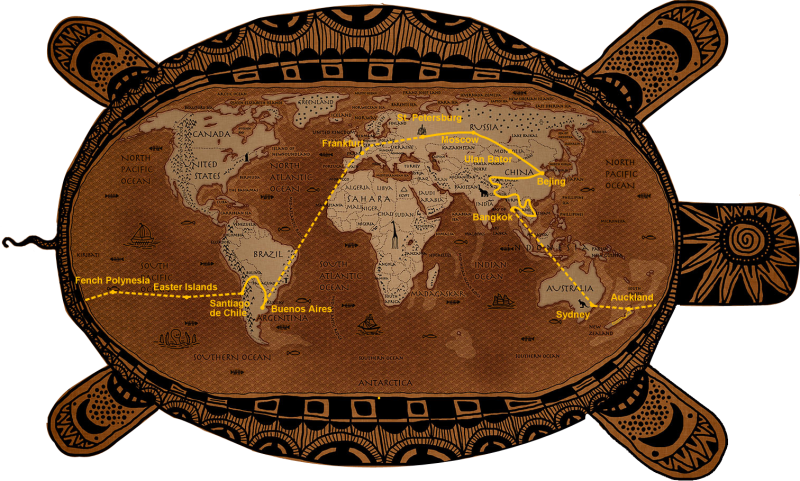 And what better to celebrate this with (finally) the map of our planned itinerary? This entry was written by Vera and posted on July 30, 2007 at 12:38 and filed under Preparation, World Trip. Bookmark the permalink. Follow any comments here with the RSS feed for this post. Both comments and trackbacks are currently closed. ‘hope you’ll travel faster than your map ! So in fact you don’t like Africa. Shame on you ! In fact we like Africa a lot!!! But we went there last year (yes we know we cannot say we have seen the whole of Africa by only visiting a part of it) and then it did not fit into our route really. And then we still need to keep some destinations open for our next worldtrip!